At least the most awaited OS of this year Windows 8 officially launched today. And Microsoft launch new site all about Windows 8. Before this No Windows 8 theme were available from Microsoft. 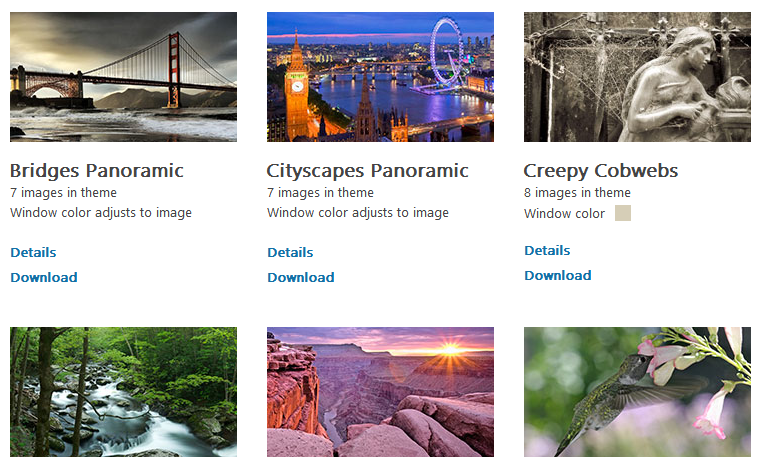 But now you can free download theme for Windows 8. So if you are using any version of Windows 8 then you can apply these theme. And all are free. On the given link bellow you will find theme according their categories. You can select theme for only Windows RT and Enterprise edition.